I bought the January 2010 BurdaStyle magazine! 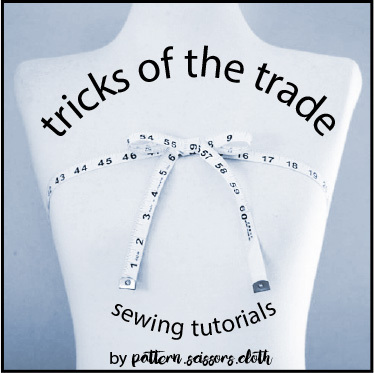 Even though I am a patternmaker, I’m using a commercial pattern – am I allowed to do that?! I feel like I am cheating! But if it saves time, why not, plus I can help others by blogging about it! I used to sew from Burda and Neue Mode magazines when I was at school and so I’m quite familiar with them, and their fit was pretty good – although I must admit I have gone up a couple of sizes since!! They don’t have seam allowances, so for me they are a lot easier to work with – I trace them onto my own kraft paper, where I can easily make alterations, customise seam allowances to my favourite method or the fabric type, and I always check everything fits and add more notches – you cannot have too many notches! I plan on doing some more tutorials on: inserting an invisible zip, facing an invisible zip, and taping a waistline – coming soon! The upper skirt is open on the left side leaving just a single layer of georgette underneath, which I have tried but failed to demonstrate in the first photo, hence the wacky pose. It looks really nice when you are walking – shows a sheer glimpse of leg, but not too much! To mine I added a little strip of the selvedge as a trim along the lower edge of the yoke, because I thought the selvedge on this fabric was quite cute. I measured and aligned it to fit the pattern, and it also prevents the curved yoke seam stretching. Another suggestion that I have for this design is to cut the under layer of the skirt 6mm shorter than the top layer, just to avoid any sneaky pieces of fabric showing from underneath. Overall a great skirt pattern – I think it’s versatile and I will wear it a lot!